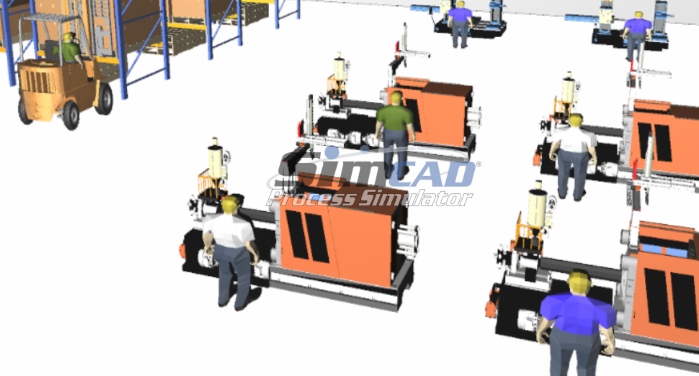 Create detailed Manufacturing Simulation Models with Simcad Manufacturing Simulator including detailed production schedules, plant capacity, assembly, man-power, automation, and material handling optimization. 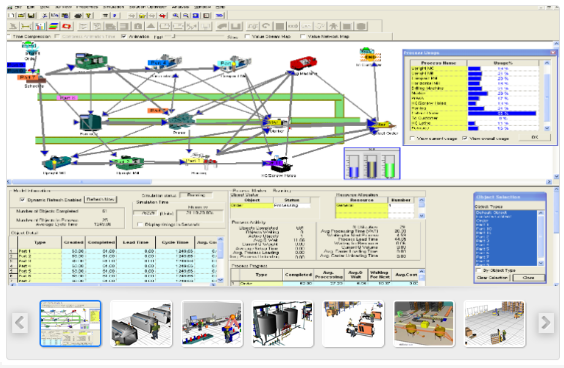 Using the different analysis tools built into Simcad manufacturing simulation software, users are able to identify bottlenecks and inefficiencies within the production line and devise methods and process flow changes in order to improve the operation. Obtain integrated reporting and scenario analysis. Gather feedback on efficiency gains both at the machine and resource level and throughout the system. Make changes to the model during a simulation run. Check and set optimal schedules. Receive live updates for increased productivity control. Analyze possible differences in efficiency based on automation versus manual labor. Establish the best path for production to increase productivity and reduce non value-added time. Model building time is reduced, multiple scenarios can be quickly analyzed, and optimization achieved in record time. 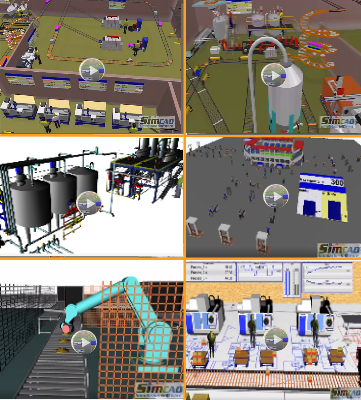 Through Simcad manufacturing simulation software, automation is proven out, schedules adjusted and optimized, and process improvement initiatives validated. Simcad manufacturing simulation software also enables the modeler to implement mean time between failure and repair, process change over, scrap and rework analysis and pull systems with kanban sizing. 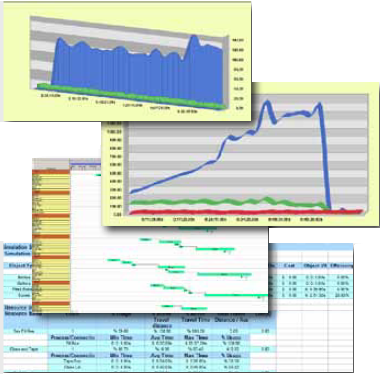 Analyze equipment feasibility and capacity constraints. Compute OEE, Efficiency, and Value Stream Maps. 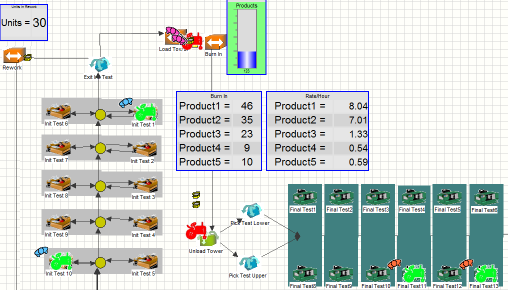 Material flow and Kanban Optimization. Automatic Bottleneck identification including detailed reporting on constraints and contributing factors. Analyze the effect of changing equipment and new technologies including automation. Quick Data Collection and Dash-Boarding. 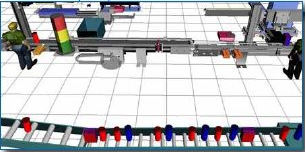 Point and click interface, for manufacturing model flow creation. Optimize the model while the simulation is running. 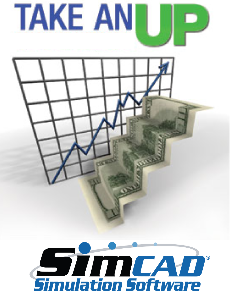 SimTrack is a Dynamic Execution System that utilizes Simcad Pro's patented technology to provide real-time operational visibility, dynamic replay, proactive forecasting, and customization reports.